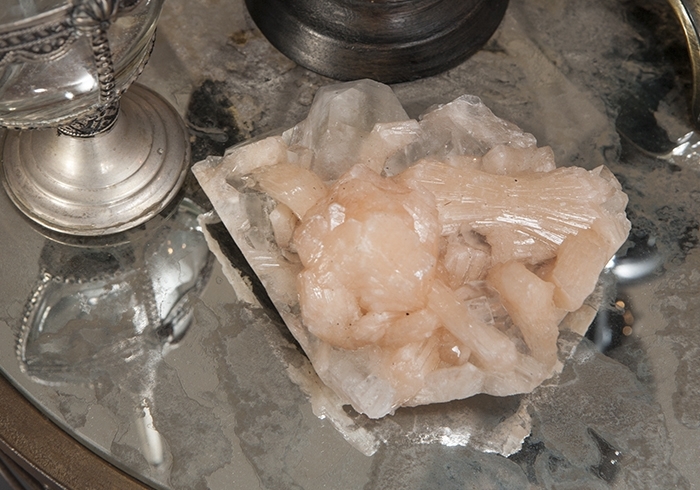 These dazzling sparkly clusters are crystals of joy that lift the energy in a room. 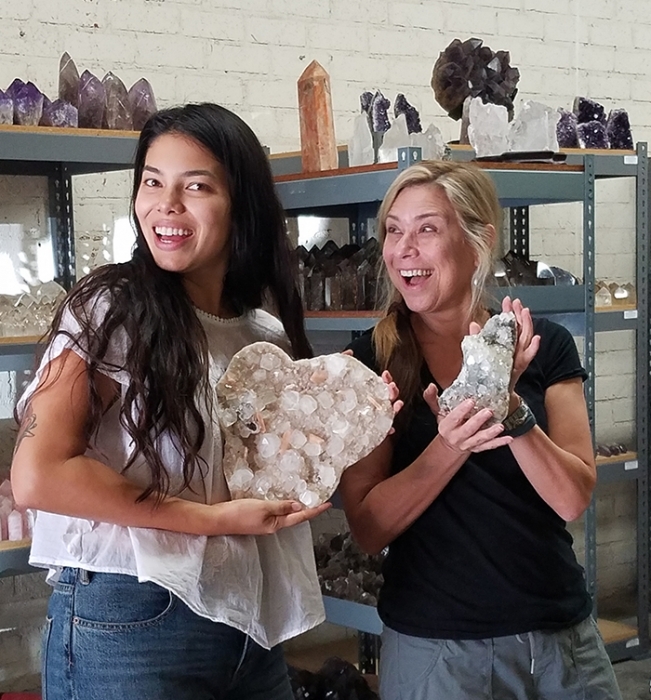 They are one of my favorite crystals. 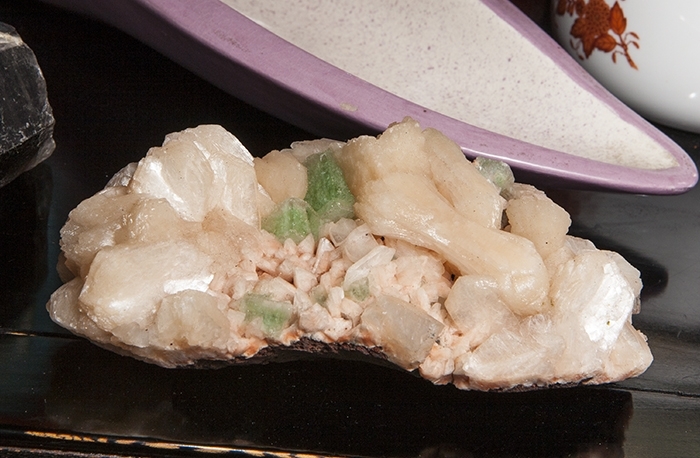 APOPHYLLITE allows you to recognize your own truth. It promotes introspection into your own behavior. Some have pink STILLBITE inclusions for super happiness. A must-have for every collection. Honestly, Apophyllite is my weakness. 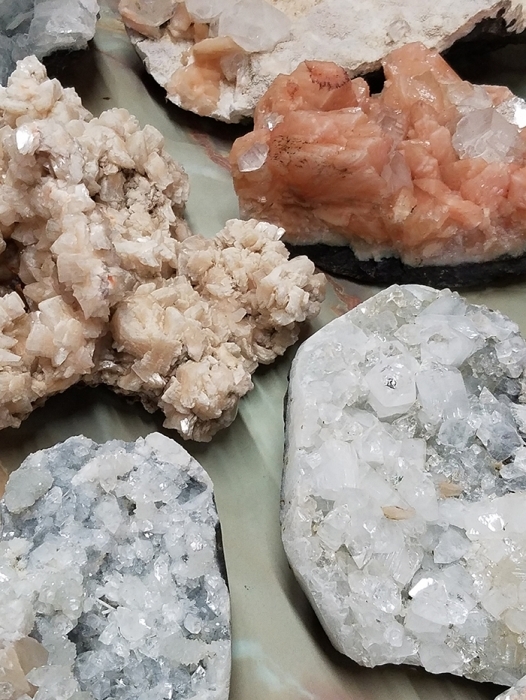 I can't walk past a table at the gem and crystal show without picking up a few. They are so magical and I love having them in my living room. 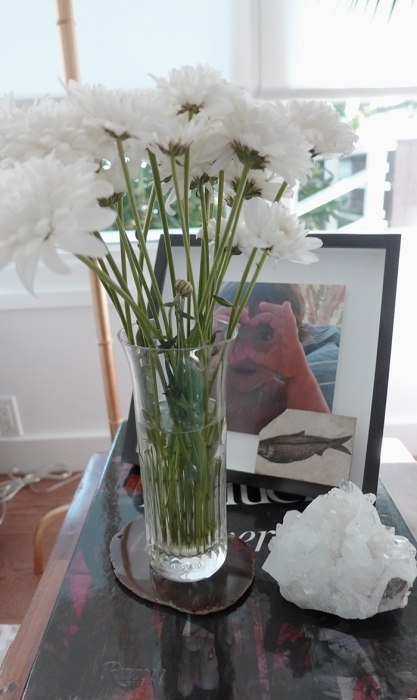 Sharing in the images below, my super model client Miranda Kerr and her Apophyllite by vase of flowers. Gwyneth Paltrow is also a client that bought one from me. 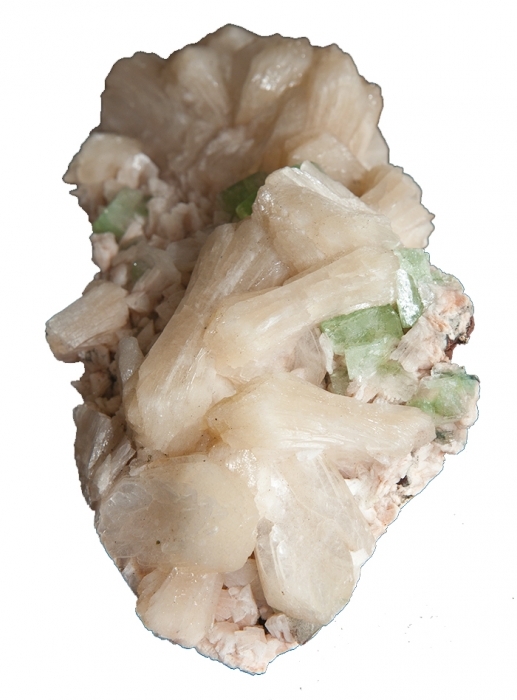 clusters vary in size from 5"-7"
Apophyllite is the sparkly crystal of happiness and joy - place anywhere to uplift the space. I love them for living rooms and book shelves.